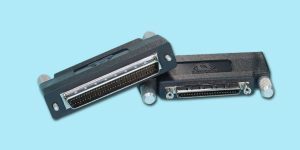 Our Male VHDCI Internal Adapters will allow you to attach a standard .025″ 68-pin ribbon cable to internally configured Hosts. 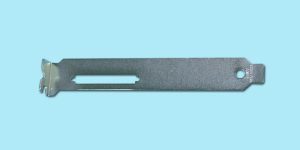 It can also be used on any internal VHDCI connection application that requires a MALE VHDCI-to-ribbon cable. We have totally re-designed the PCB of our older versions of this adapter to accommodate the latest high-speed 160/320 LVD drive subsystems, by incorporating IMPEDANCE MATCHING, paired traces, and Ground/Power planes. 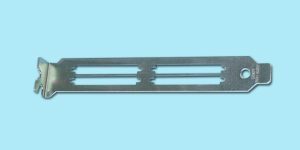 Also, this new design is backwards compatible with all older SCSI/LVD interfaces, including HVD (High-Voltage Differential). 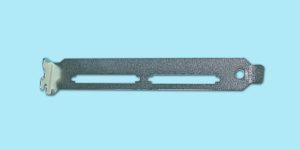 ADP-7500 – VHDCI Male-to-SCSI3 Female (for use with existing ribbon cabling). 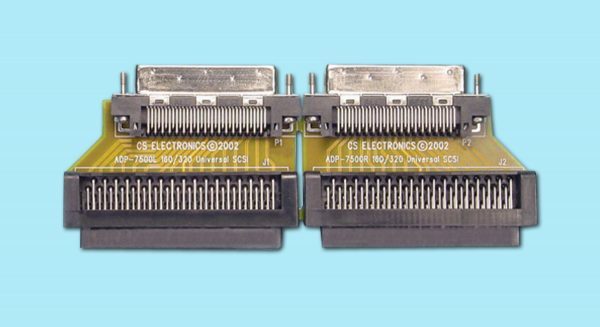 Dual Adapter ADP-7500D VHDCI Male-to-SCSI3 Female (for use with existing ribbon cabling) Please call for pricing and availability. Single Adapter ADP-7500S VHDCI Male-to-SCSI3 Female (for use with existing ribbon cabling) Please call for pricing and availability.